Want Faster & Less Resource Intensive Website Design? Does this describe website design or redesign as you know it? Growth-Driven Design (GDD) changes all of this. Want to know how the GDD process works? 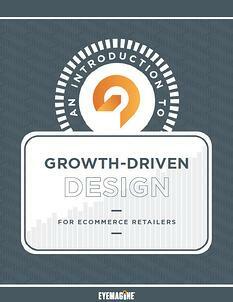 Download the eBook - "Growth-Driven Design for eCommerce Retailers." Just fill out the form on this page to download instantly.